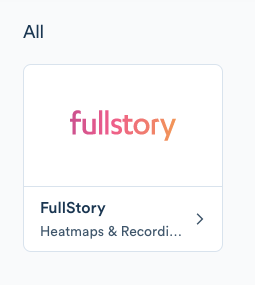 The FullStory integration with Segment allows you to install and enable FullStory on your website or app with the click of a button. If you haven't already, sign up for Segment. After you set up your Segment account, navigate to the Segment dashboard. Add a new destination. Then select FullStory and confirm your source. 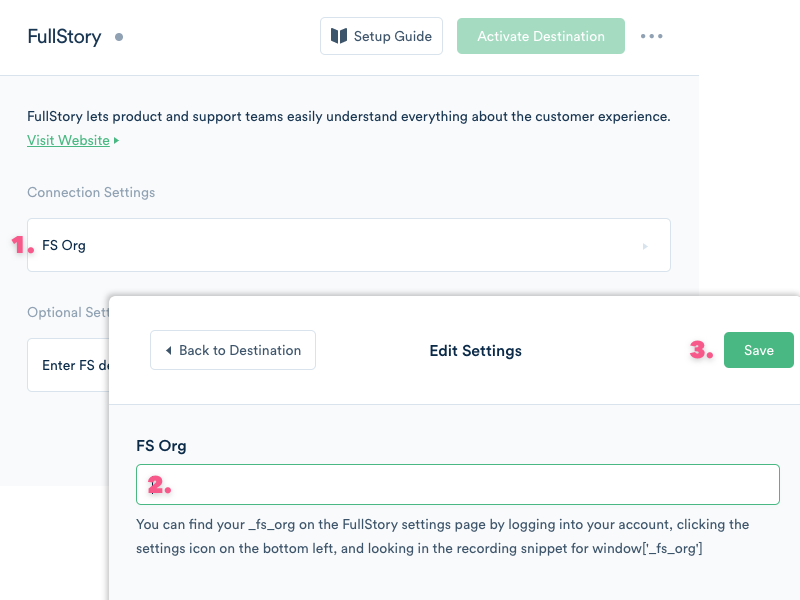 In the configuration pane, click FS Org to enter your FullStory Org ID (found in FullStory's Settings > FullStory Setup tab. Look for the value found on this line: window[‘_fs_org’] = ‘ABC’). Then Save. Then click "Activate Destination" and sessions should start rolling into your FullStory account. If you use Segment to instrument important custom events on your website (whether “add to cart”, “purchase” “sign-up” or any other event that is important to your business) - now you can send those instrumented client-side events through Segment to FullStory with no extra effort or coding. Less time searching for a specific session. If you have 100 sessions, but only care about the 3 sessions where a customer completed an order - now you can search for only those sessions where the “Order Completed” event occurred. Less time in session - jump to the exact spot the event happened in playback. If your customer spent 3 hours interacting with your website, now you can jump right to the minute where they clicked “Add to Cart”, because we annotate the playback with a custom event icon for easy navigating. 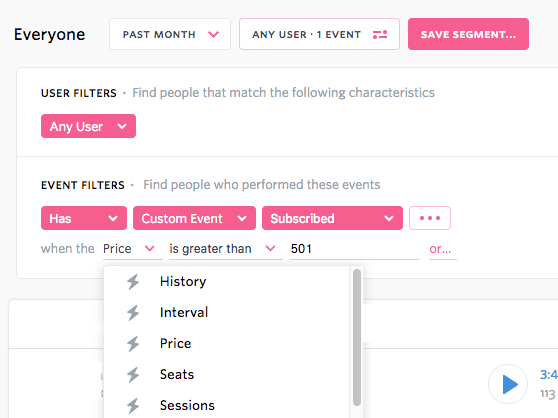 Be able to search and segment with even more granularity - if you pass through properties for your events. If you only want to look at sessions where the “Subscribed” event occurred, but for Price >$501 - now you can search and segment based on the properties like “Price” that you’re passing through! Deploy FullStory through Segment (as above). If you use FullStory and Segment separately, and do not actually deploy FullStory through Segment, your events won’t automatically come through Segment to FullStory. Note - the integration pulls through client-side events only. Server-server events in Segment will not currently show up in FullStory. There is no extra work to do in FullStory to send through your events. You may need to adjust some settings within Segment's settings if you have set up whitelisting rules. Check the Troubleshooting Instructions if you see any errors with your events. Segment provides ways to track customer data from multiple sources. Please note that only data that is tracked with Analytics.js directly on the website will be available in FullStory. FullStory isn't able to ingest customer data from Segment if the data comes from a source other than Analytics.js (e.g. FullStory can't track Segment data from Segment's Mobile, Server, Cloud App, or their generic HTTP sources).